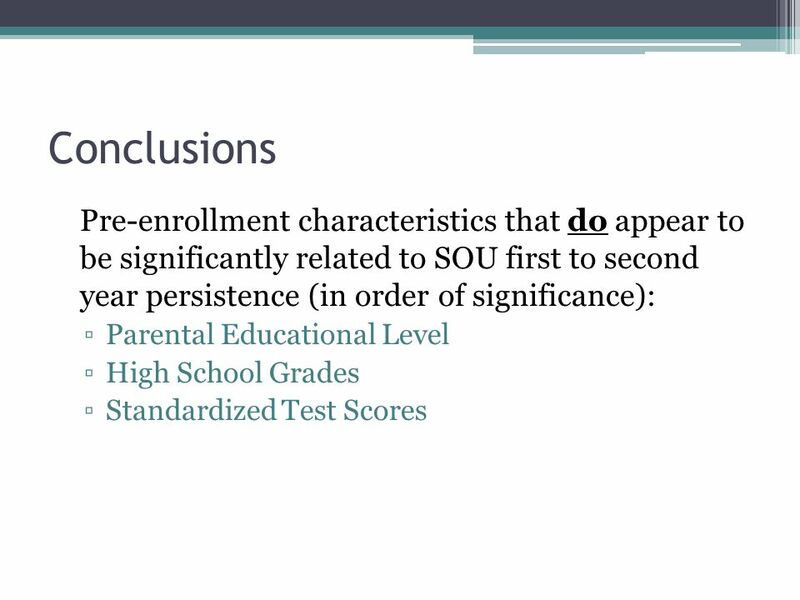 An Enrollment Management Journal Spotlight: Why Do Students Persist? 2010 Annual TG Training Conference Dr. Matt Stillman Director of Institutional Research. 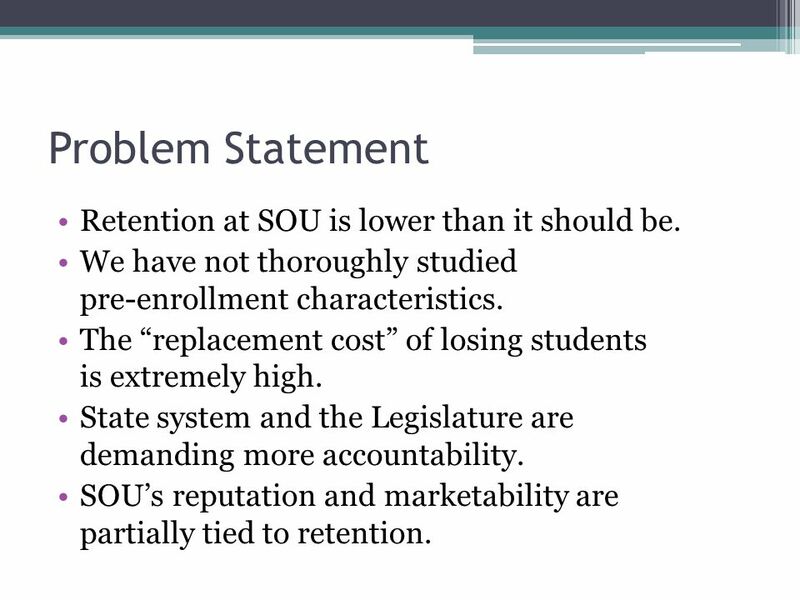 4 Problem Statement Retention at SOU is lower than it should be. 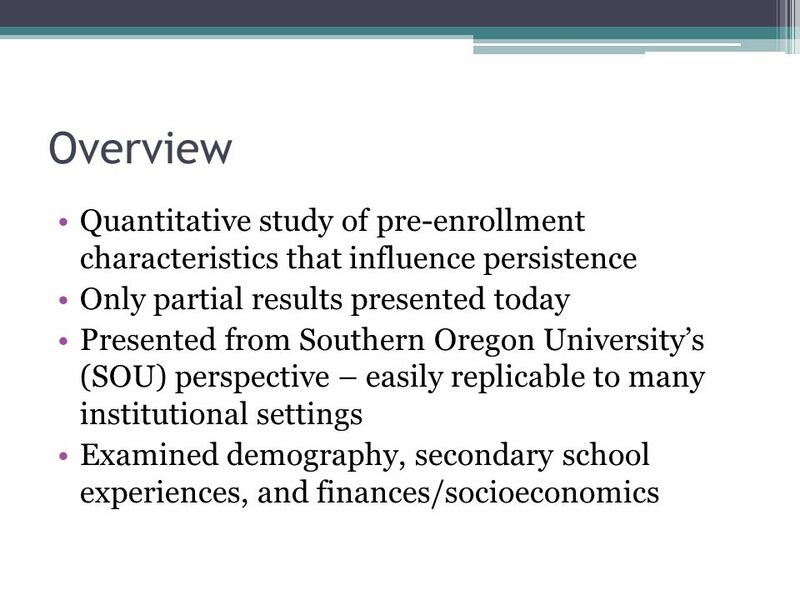 We have not thoroughly studied pre-enrollment characteristics. 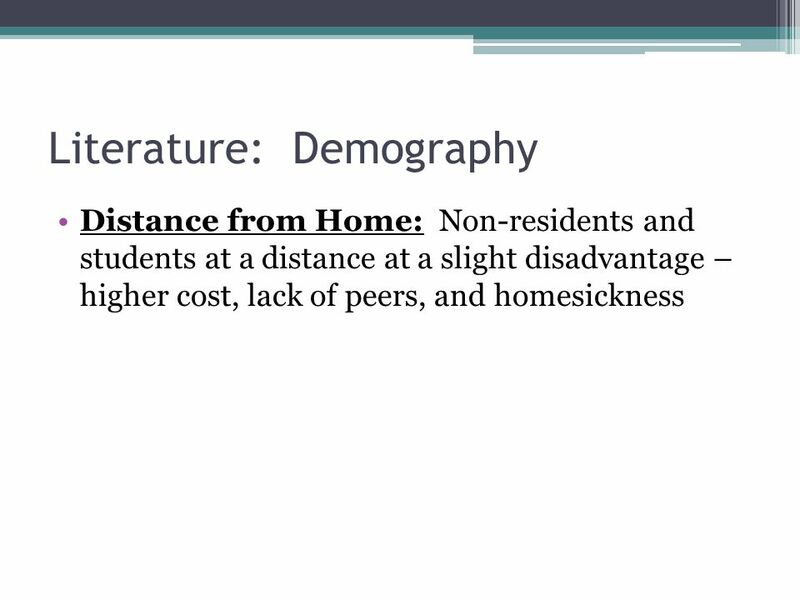 The “replacement cost” of losing students is extremely high. State system and the Legislature are demanding more accountability. 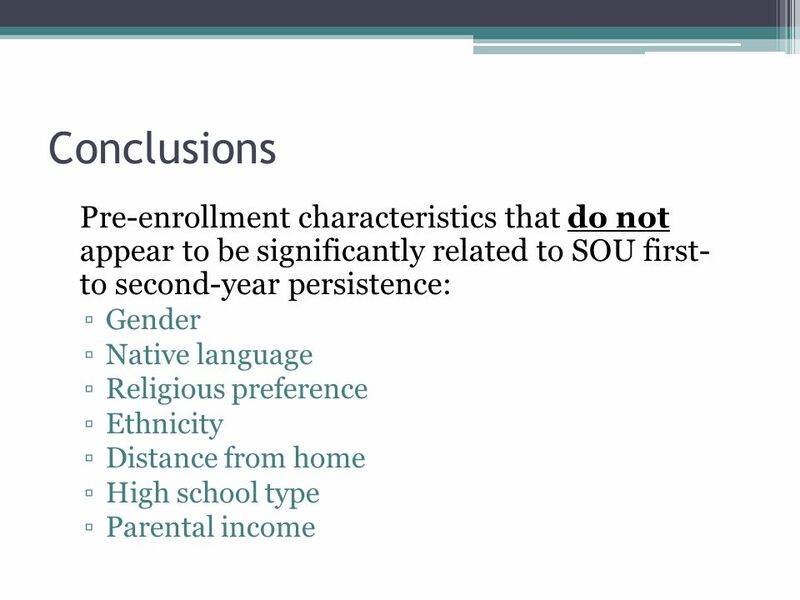 SOU’s reputation and marketability are partially tied to retention. 20 Next Steps Remember that the scope is limited. 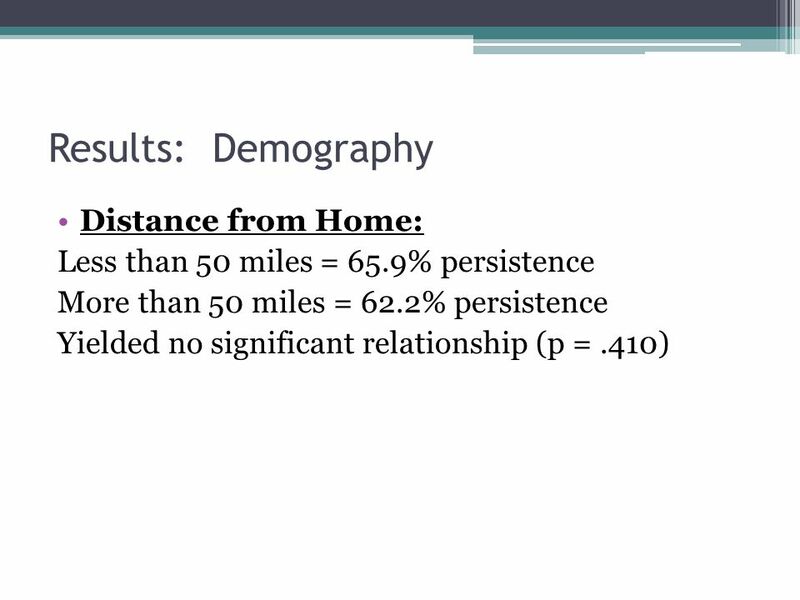 Consider replicating the study. 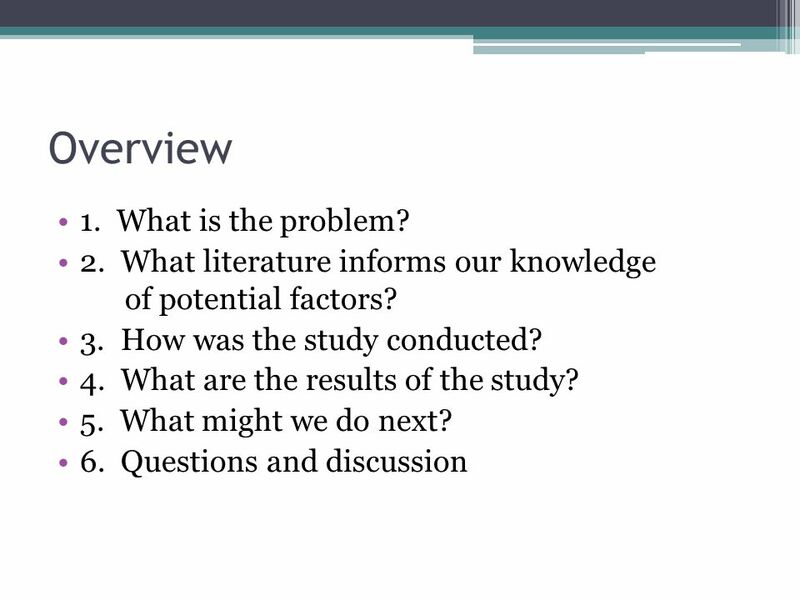 Consider qualitative follow-up to determine reasons for non-persistence. 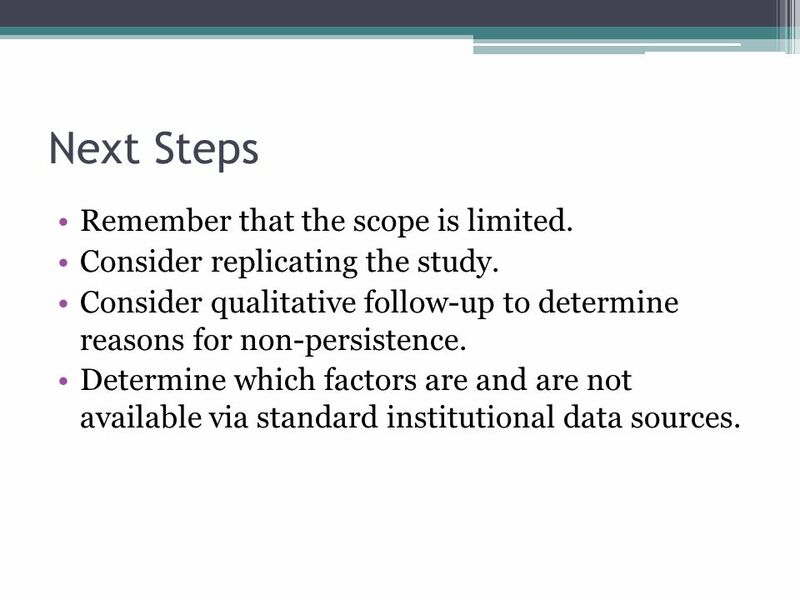 Determine which factors are and are not available via standard institutional data sources. 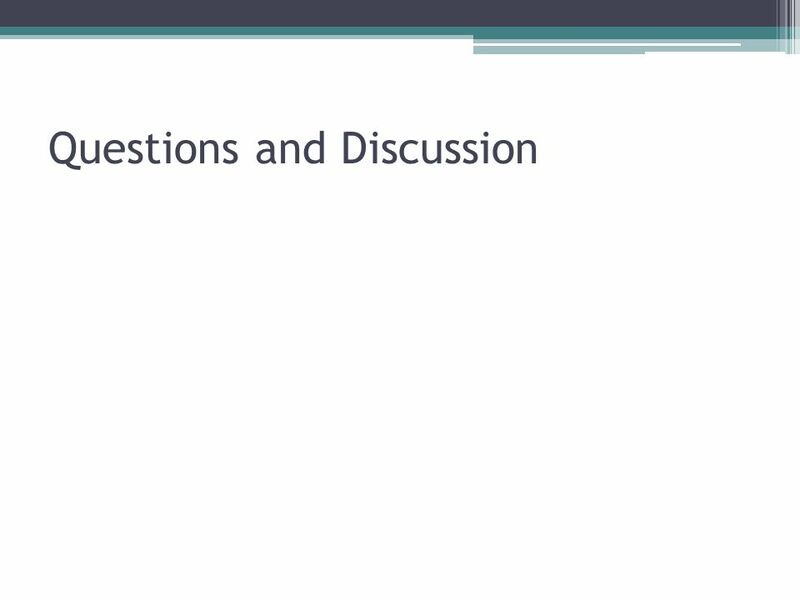 21 Next Steps Discuss the findings with relevant stakeholders. 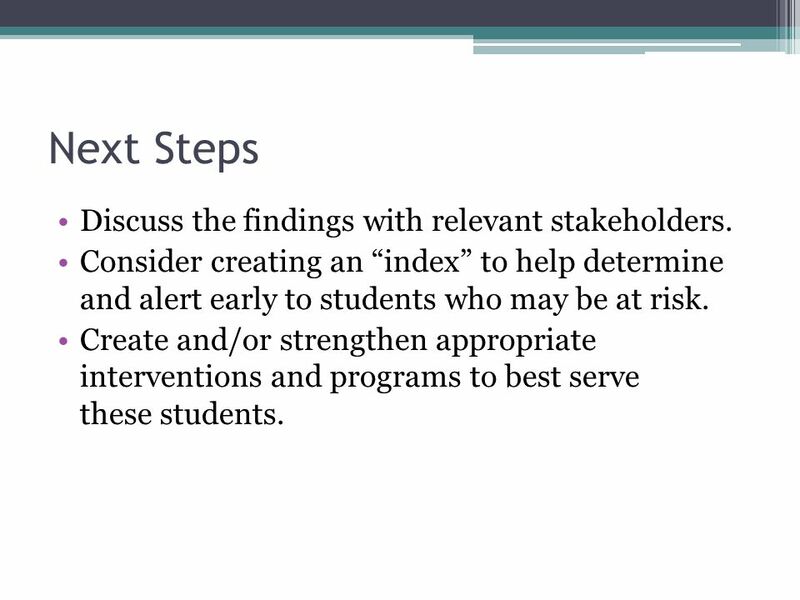 Consider creating an “index” to help determine and alert early to students who may be at risk. 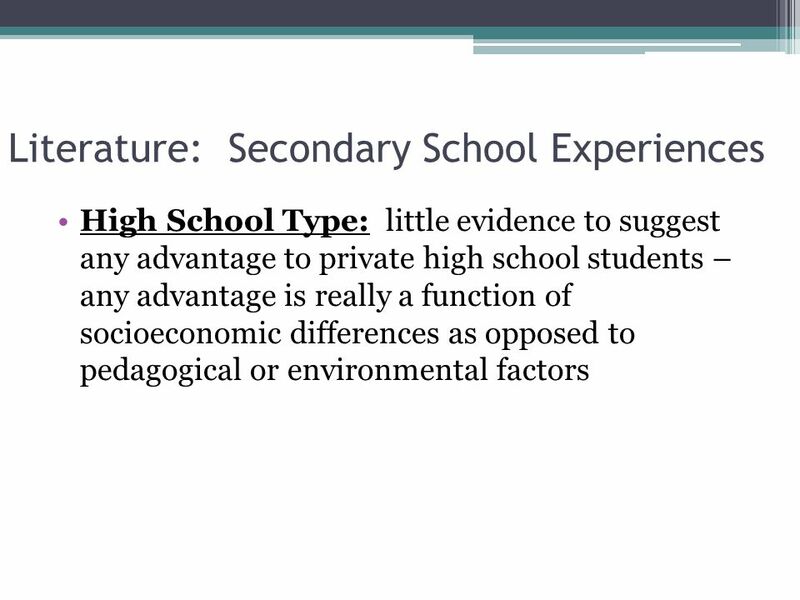 Create and/or strengthen appropriate interventions and programs to best serve these students. 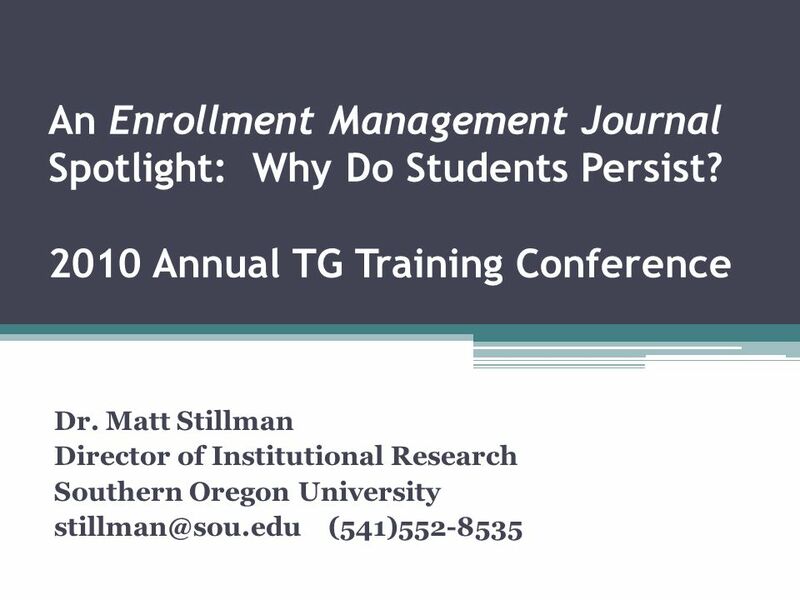 Download ppt "An Enrollment Management Journal Spotlight: Why Do Students Persist? 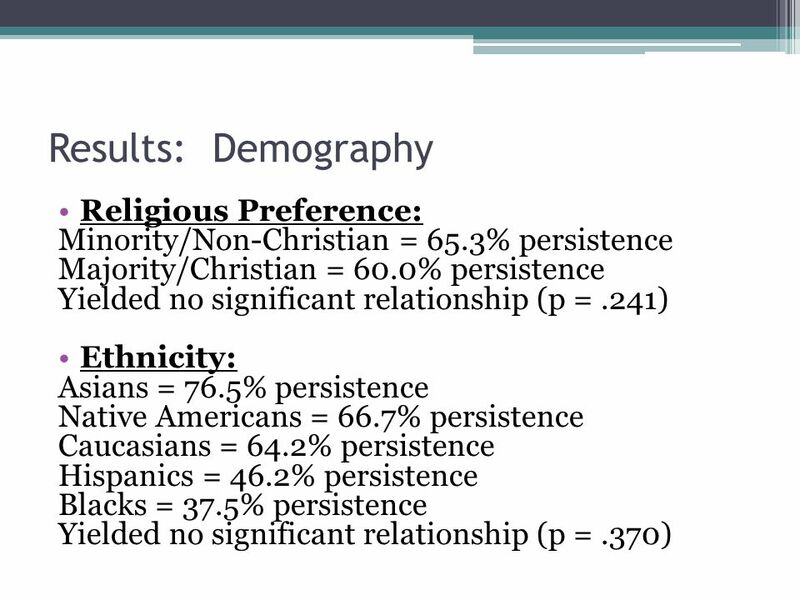 2010 Annual TG Training Conference Dr. Matt Stillman Director of Institutional Research." A Profile of OU 1 st Year Students OGL Session April 29, 2014 Reuben Ternes Research Associate, OIRA Cassandra Barragan Assessment Coordinator, OIRA. 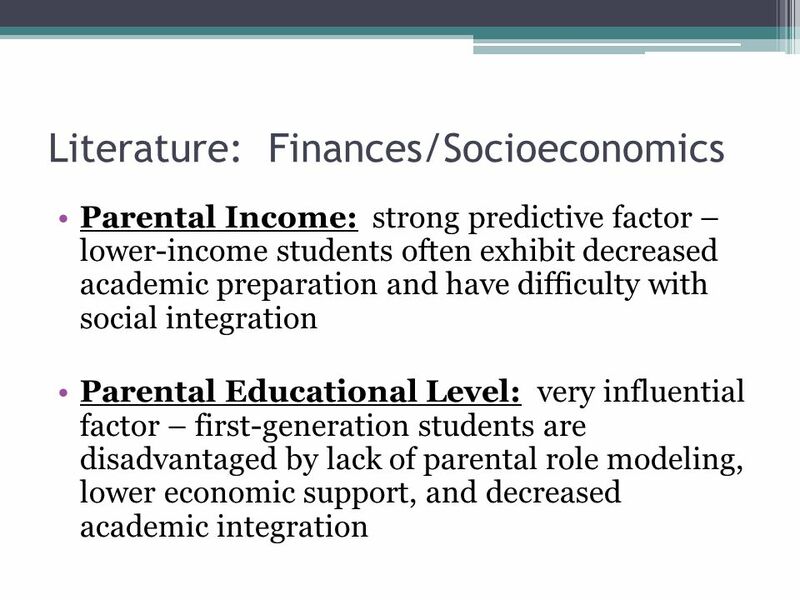 A combined presentation from the Office of Undergraduate Education, First Generation Scholarly Learning Community, and the UK College of Education’s P20. 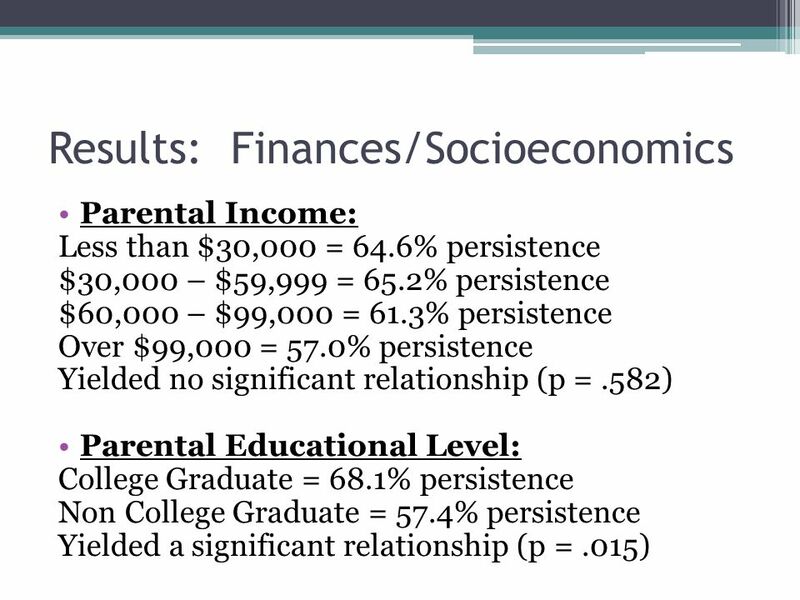  Increasing degree attainment rates is a national priority  Living communities, first year seminars, and supplemental instruction are among institutional. An Evaluation of Economic and Non-economic Techniques for Assessing the Importance of Biodiversity and associated Ecosystem Services to People in Developing. Assessment of the Impact of Ubiquitous Computing on Learning Ross A. Griffith Wake Forest University Ubiquitous Computing Conference Seton Hall University. 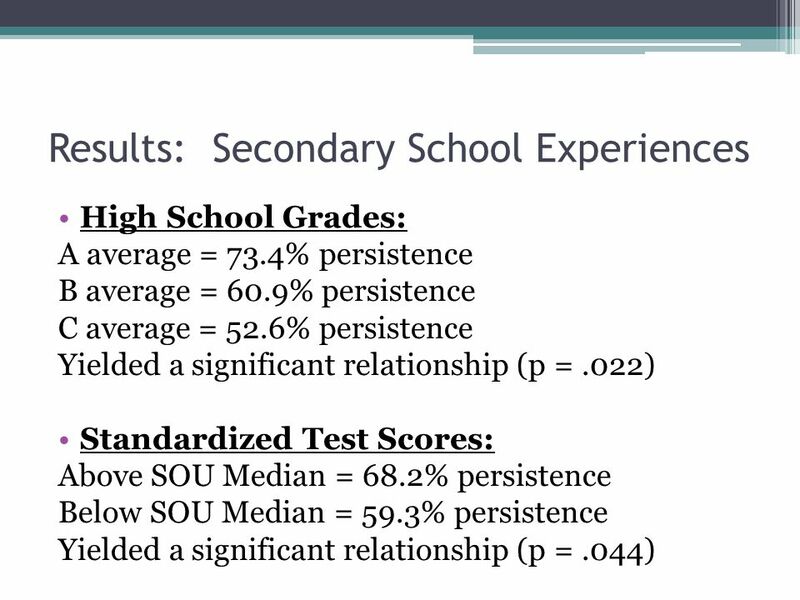 Predictors of Students’ Satisfaction with Their Educational Experience: Preliminary Findings from the NSSE Survey, 2006 Cecelia G. Martin and Beatriz Joseph. 1 COOPERATIVE INSTITUTIONAL RESEARCH PROGRAM (CIRP) UCLA’s Higher Education Research Institute COOPERATIVE INSTITUTIONAL RESEARCH PROGRAM (CIRP) Presentation. 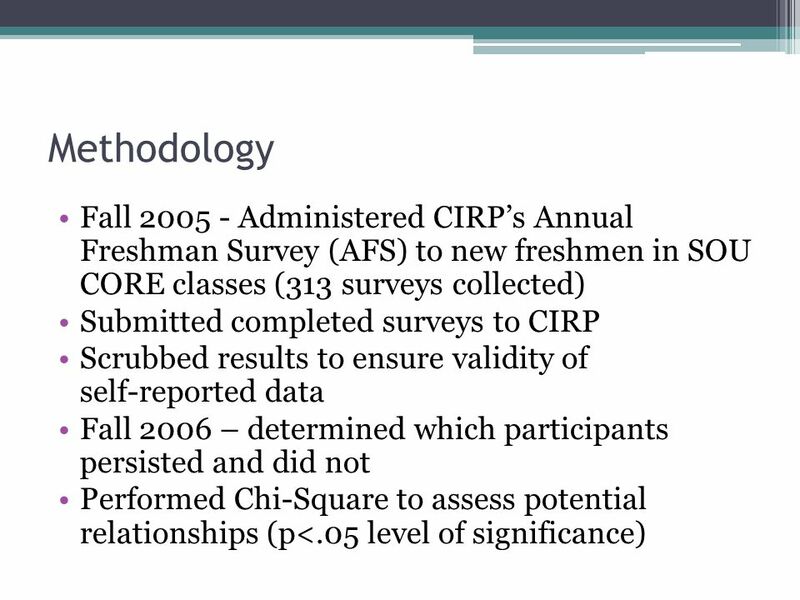 Return to contents CIRP Freshman Survey CIRP The Freshman Survey 2008 National Results 240,579 Responses Executive Summary. 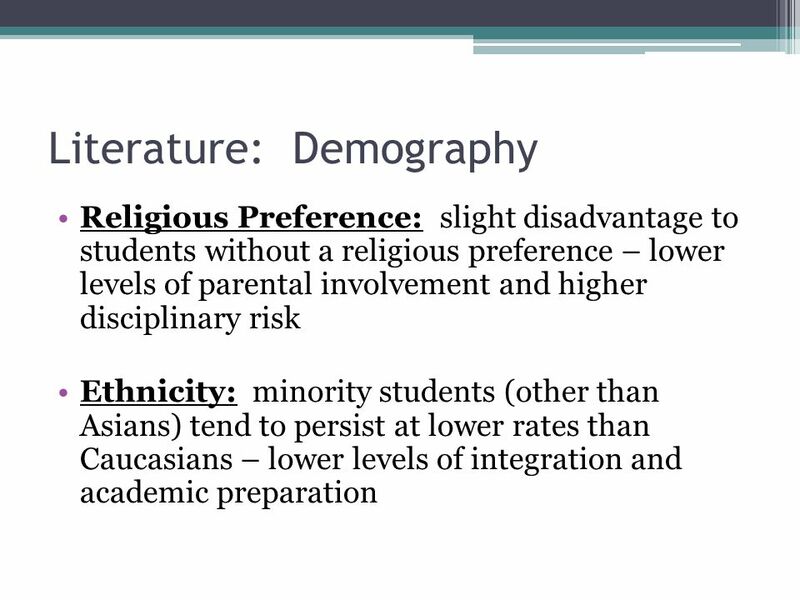 Asian-Americans at Risk Susanna Lee Learning Skills Center, UC Davis Gillian Butler & Stella Lin Student Affairs Research & Information, UC Davis 2003. 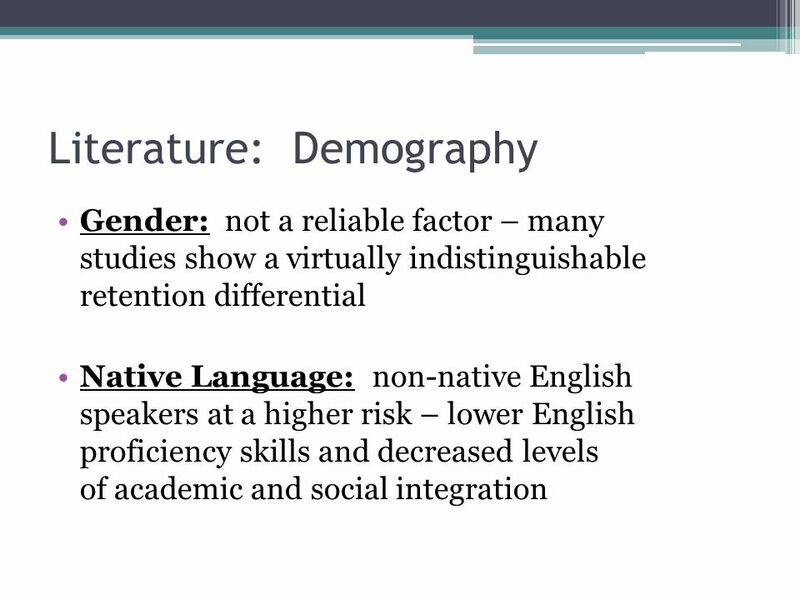 Comparison of Half- and Full-Day Kindergarten on Kindergarten Achievement Jack B. Monpas-Huber, Ph.D. Director of Assessment and Student Information. 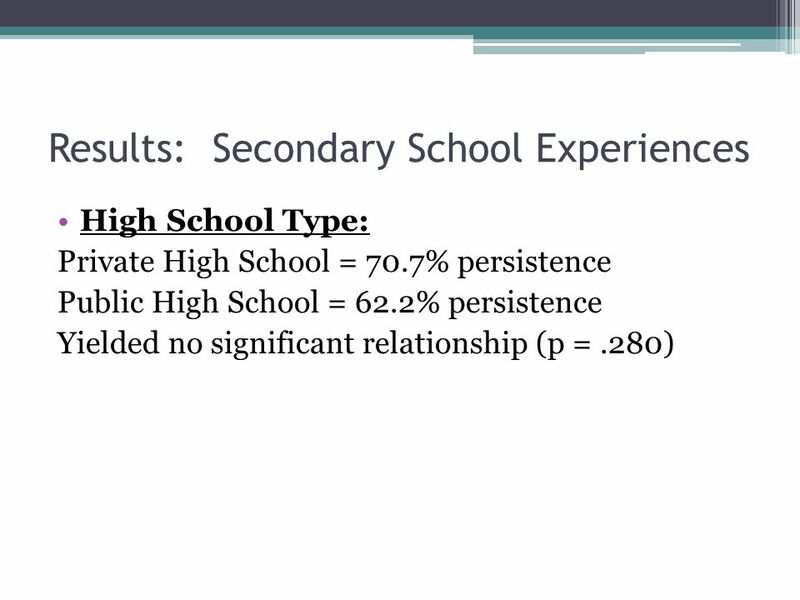 Is College Success Associated With High School Performance? Elizabeth Fisk, Dr. Kathryn Hamilton (Advisor), University of Wisconsin - Stout Introduction. 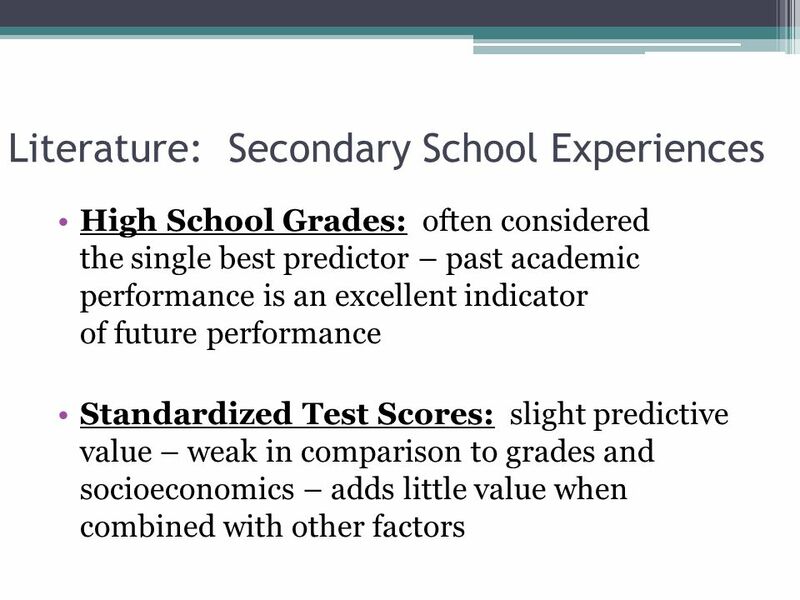 Comparing Growth in Student Performance David Stern, UC Berkeley Career Academy Support Network Presentation to Educating for Careers/ California Partnership. 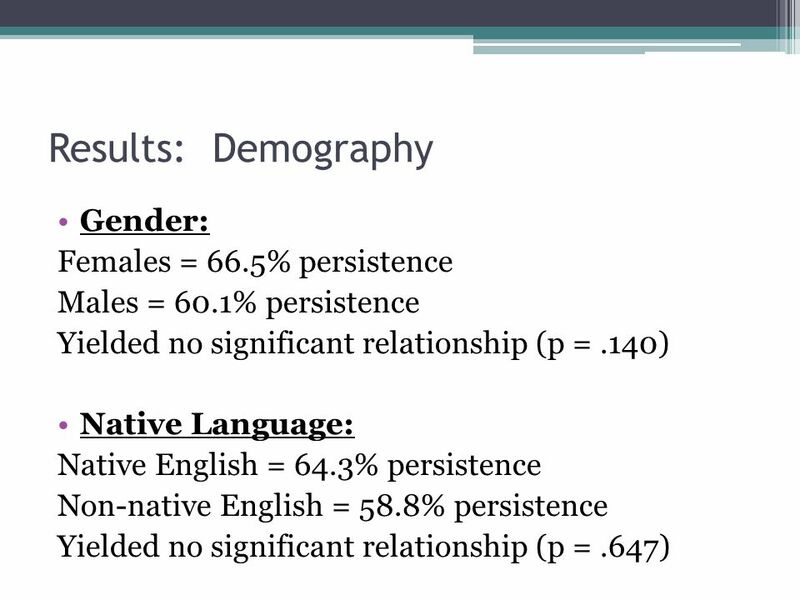 Effective Strategies for English Language Learners in Science Melinda Moya Edu 7201T Fall 2011.